I came across this thickening spray thanks to the wonderful Kyle Krieger YouTube video. I got my hair cut similarly to Ashlyn's a while back so I was searching videos where it showed how to get her style and I found Kyle doing Ashlyn's hair. So I sat and watched the video, in fact I think I have watched it about 20 times now, I took note of the techniques and products Kyle used and then I went out and bought this spray. My hair has always been really thin so anything that will help thicken it is greatly appreciated. So here is what I thought of the spray. This spray is very pricey so I thought the packaging may have been a little better. It is basically just a plastic spray bottle with a label stuck to it. Although the label does look amazing with the black and white image on it. The bottle is very durable too as it has gone on plenty of trips with me and hasn't been damaged and the lid always stays on. I guess that a plus side to this clear plastic bottle is you can see exactly how much product you have left, so I know when I am running low. 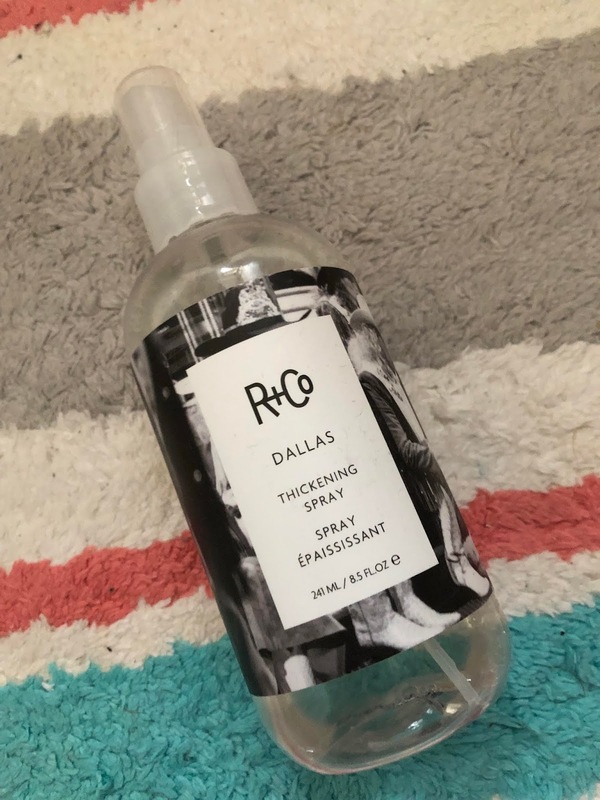 I am quite glad that this spray doesn't really have a scent because the rest of my hair products do so when this is added it doesn't make a difference and doesn't make the hair smell too over powering. I think if this plus all the other items I used all had the different scents it would just be far too much. Application of this is really easy, once I get out of the bath/shower I towel dry my hair then give this a good spray all over my hair. I mainly use this when I actually blow dry my hair and I will dry it in sections to get the full effect of the product. The first time I used the spray it left my hair very tacky but then I realised I had used far too much. Since using the correct amount I have noticed you can't feel it and can't see any left over bits of the spray. With the spray you can't see any bits of the product left over giving my hair a natural look still. But you can clearly tell when the spray has been used as my hair as it definitely looks a lot thicker especially when used alongside my volumising mousse. My hair goes from looking really think and slicked back to looking a lot thicker and a lot fuller. Granted this spray is quite costly at £22.95 for the bottle however, it does last quite a while so you get a lot for your money. Plus it does its job and to be quite honest I would pay this over and over again for my hair to look thicker and a lot better. If you get the chance to pick a bottle of this up and try it for yourself I would highly recommend you give this ago. Thank you very much to Kyle Krieger for the video showing how to get Ashlyn's style and bringing this product to my attention.